The weather the last few days is in stark contrast to the nice warm day we had last Sat riding up Old Julian Road. 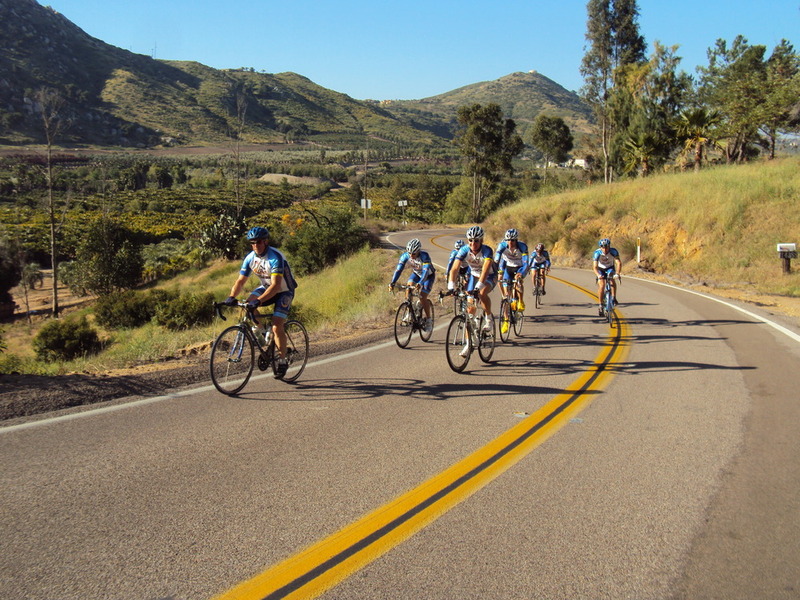 We have another east county ride planning for this Sat too, our last team ride before the Alpine Challenge. We can discuss the logistics of the AC or AQC on our ride this weekend. The route is posted on the web site as well. I might be able to convince the guys to ride up the Mahogany Ranch road to really give the legs a test on our way back up Mussey. Hope to see a good group out this weekend. Description: April 23 Up Scripps Poway Parkway, out and back on Mussey Grade, and Out and back on Pamo Road. Return Poway Road or Scripps Poway Parkway. 65 miles 3,500 climbing. Meet at Garden Road and Poway Road at 8:00 am. 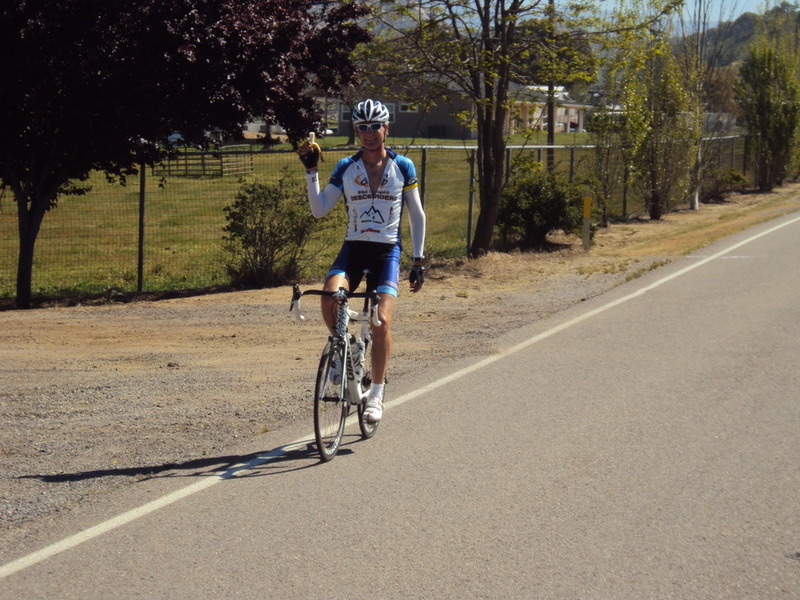 The Old Julian ride was challenging, especially with the climb up Highland Valley Road to get to Ramona. We started with a large group meeting at Spring Meadow and then we picked up Len (the elder) and John as we pedaled over to Pomerado and RB Roads for the start. The HVR climb took a bit of the spring out of the legs as the group split apart but regrouped at the top. We caught sight of Jeff Cresap before getting to Ramona. Jeff was out doing his rehab training. He joined us most of the way up Old Julian before turning back for home. Rick had to bail early but the rest of the guys climbed Old Julian. I kept Ernst in my visual but could not close the gap; we were the last two to the top. The descent was fast as usual and we were all out of water so we headed towards the fire station in Ramona. I wish I had my camera out to capture all the water bottles trying to get filled from the water of the station hose–a needed respite from the hot ride. We returned along Dye and then most of the guys went back down HVR. Ernst, Bryan and I pootled south along 67 to Poway Road and home. We are all exhausted. I finished with 71 miles and 4,800 feet of climbing; great day.